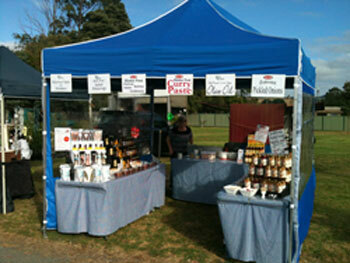 During the year we attend some of the best Craft Markets in Victoria. Why not come along and enjoy a day out in the fresh air and also take the opportunity to visit our stall. We will have some of the curry cooking for you to taste, and also all our other products will be available to sample. For further details and market dates click on the venue name below. This will take you to the relevant web-site. All our products are on display at our stall and you are welcome to have a taste. We even have some curry cooking for you to sample. Why not come along, we'd love to see you.